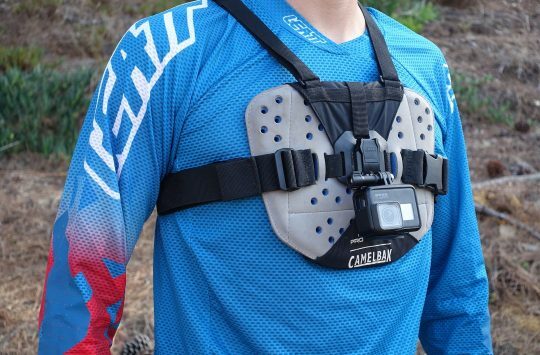 The flexibleisation (it’s a word – trust us) of body armour is one of the best innovations in trail riding over the past few years. 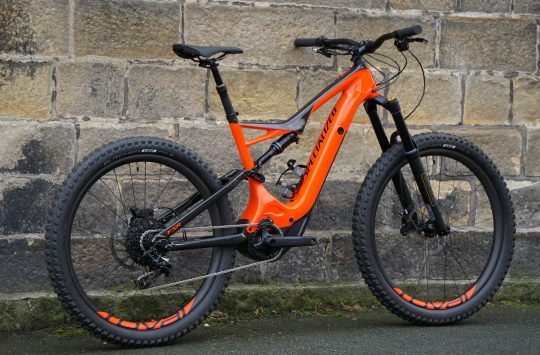 Lightweight, breathable and flexible padding has meant that XC and trail riders can now wear slimline knee and elbow pads instead of having to resort to heavy plastic-capped stormtrooper-style pads. In fact, knee pads are getting so good that there really is little excuse for any mountain biker not to use them. Drawing together some of the most popular lightweight knee pads currently on the market, we assembled a ‘Pads For Pedalling’ group test in Issue #112 of Singletrack Magazine, where we put 14 different knee pads to the test. 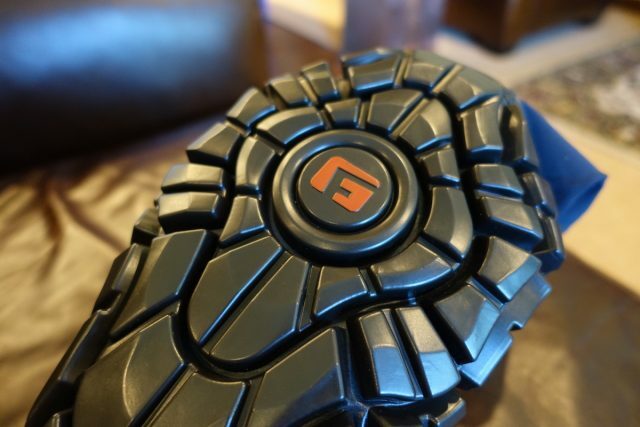 One of those pad options came from US brand G-Form, which offers a futuristic knee pad called the Pro-X, and you can read the full review here. G-Form expands its protection range with the new Elite knee pads. Using a proprietary technology called RPT (Reactive Protective Technology), the Pro-X knee pads (also available as an elbow pad) use a 3D style protective pad with cleverly shaped panels that are designed to enhance articulation and flexibility during pedalling. 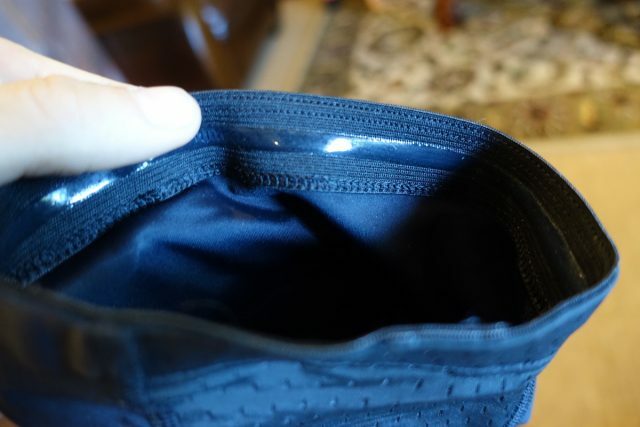 The protective pad is then sewn on to a Lycra sleeve that you slip on like a knee warmer. Looking to up the protection stakes, G-Form has just introduced a new knee pad option in the range called the Elite. With thicker padding, more coverage and some changes to the Lycra sleeve, the Elite knee pad is designed for more aggressive riders and enduro racing. 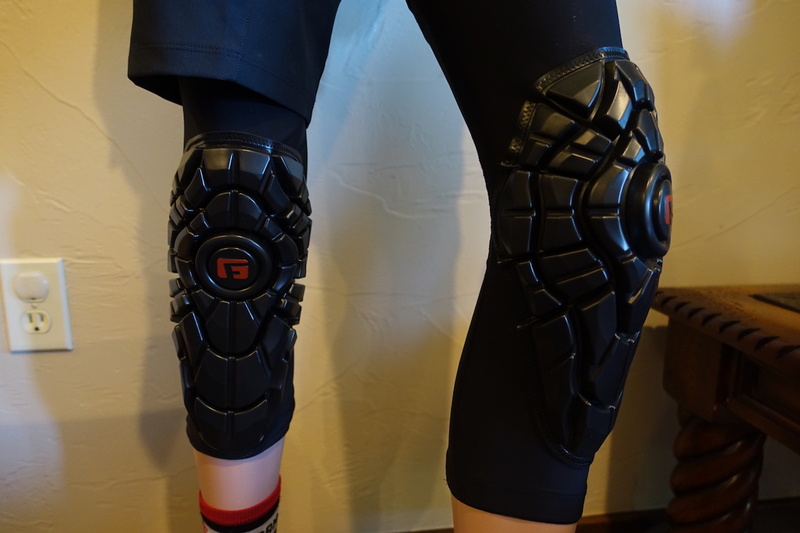 In fact, it’s the knee pad of choice for gravity queen Tracy Mosely. 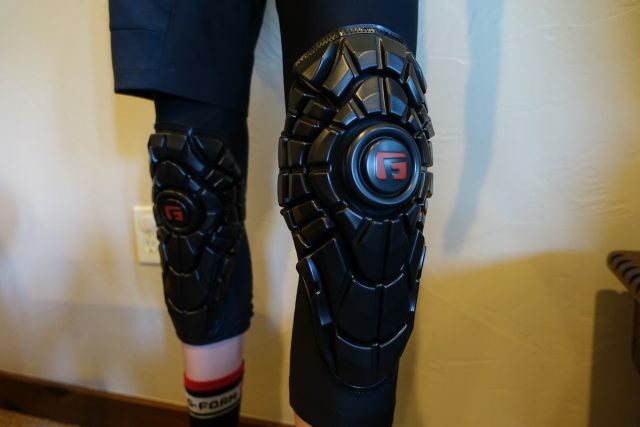 Compared to the existing Pro-X knee pads, the Elite pad is bigger, thicker and with more coverage. “For elite-level protection on rugged trails and fast tracks, Our Elite Knee Guards are CE 1621 Level 1 certified, the highest standard for motorcycle amour” – From G-Form. The squidgy RPT material firms up under impact. 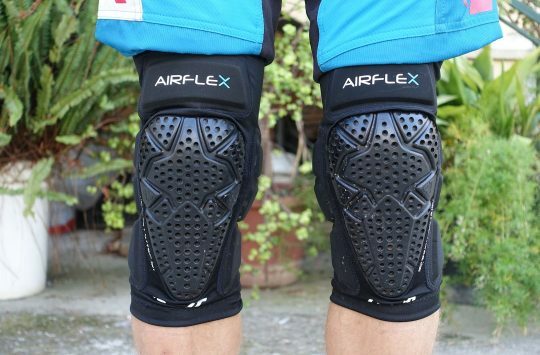 Compared to the existing Pro-X knee pads, the Elite pads are visually much beefier. Each panel is larger in size, and the whole pad is significantly thicker overall too. 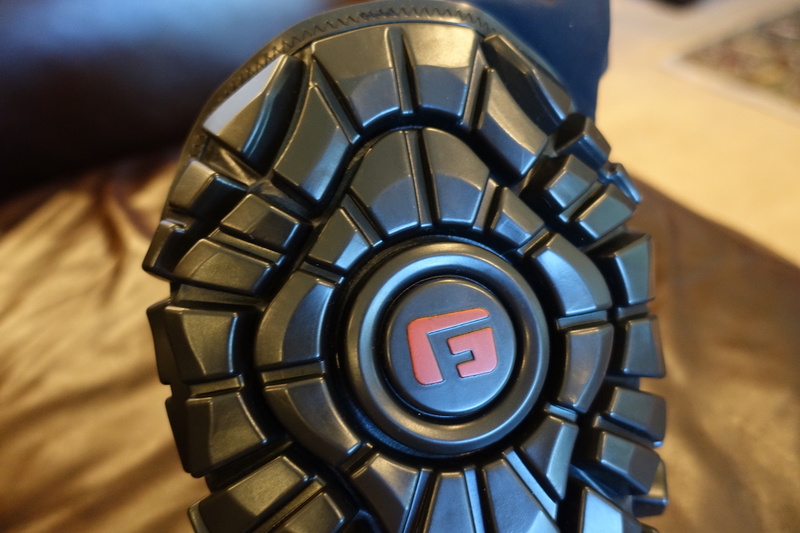 The idea is to put more material between the ground/rock/dog and your knee in order to slow down the shock and absorb as much energy as possible. In a similar way to POC’s VPD material, and D3O, the RPT material feels quite soft and spongy to the touch. However, using the power of science and physics, the clever little molecules lurking beneath the TPU coated surface come together during an impact, firming up the material to absorb and distribute forces so your knee cap doesn’t have to. The pad wraps around the side of each knee for further protection. 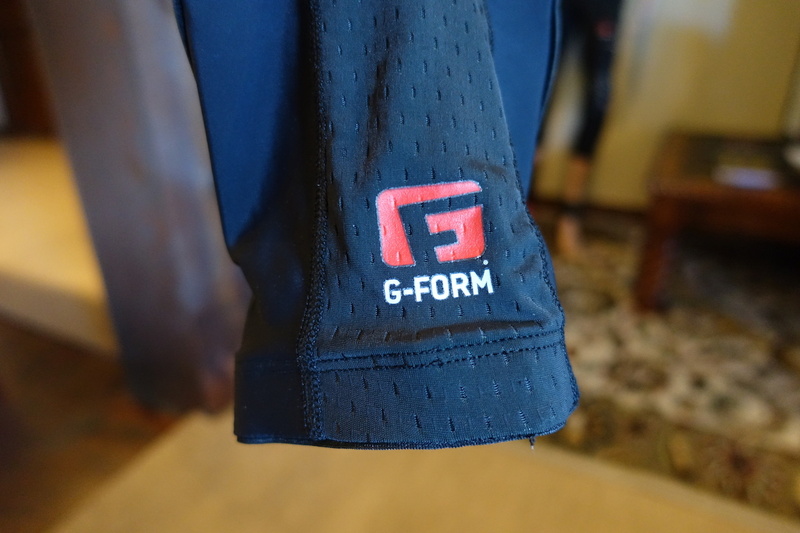 The lycra sleeve of the G-Form Elite knee pads is similar in fit and feel to the Pro-X knee pads, except the whole tube is longer overall. The upper cuff extends further up the thigh, while the lower cuff sits further down the calf to help everything stay in place whilst riding. Inside both the upper and lower elasticated cuffs is a band of silicone gripper that helps to reduce slippage. A vertical mesh panel runs down the back of each knee for added breathability. Also changed over the stock Pro-X knee pads is the addition of a full length mesh panel that runs vertically down the back of each leg. This lightweight mesh construction increases breathability and moisture wicking, so your legs don’t end up a sweaty mess on warm climby rides. With a focus on flexibility and comfort, the Elite knee pads are the type that you throw on at the start of the ride, and forget about. 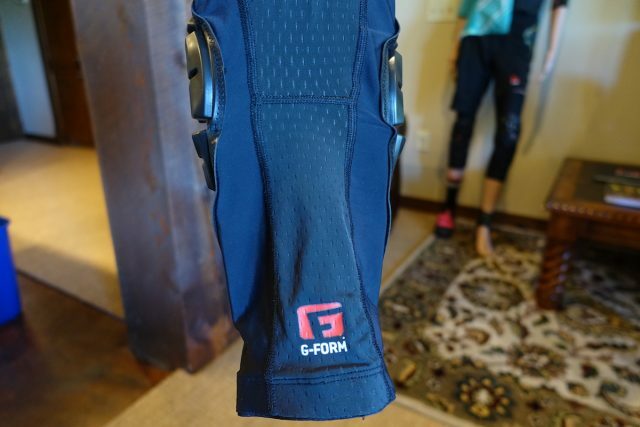 The overall fit of the G-Form Elite knee pads is snug and form-fitting, though the flexibility of the Pro-X knee pads remains – albeit with simply more coverage overall. We’ve got a set of Elite knee pads to test out over the coming months, so look out for the full review. Would be good to know how they compare to the Pro-X. Do these address the issues you raised with them? Wil, you should be ashamed of those legs. They look like arms.